You need the right team when you want to buy a car. You need a team that will be there for you throughout the entire buying process, and long after. For years, we have catered car-buying experiences to our customers to ensure that they always have a good time, no matter what vehicle they leave here in. The bottom line is, car shopping should be fun. The next time you need a car, come to Brandon Volkswagen, we will ensure that you have a great time, and that you get the great VW that you have always wanted. We are a family owned dealership that has been operating in Tampa for many years. 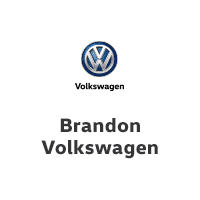 Brandon Volkswagen has been a part of our family since 2008, though the dealership has stood here for even longer. Because we always put our customers first, we have attracted prospective buyers to our state-of-the-art facility from over 100 miles away. We serve Tampa, Brandon, and all the surrounding areas including Riverview, Bloomingdale, Gibsonton, Fish Hawk, Sun City Center, Ruskin, Lakeland, Sarasota, Wimauma, Plant City, Thonotosassa, Temple Terrace, Seffner, and Valrico. We can help you park a brand new VW in your driveway today. We have all the new Volkswagen models that you know and love including Jetta, Passat, and Tiguan. If you are looking for some of our more iconic staple vehicles, than you can always try out the GTI, Beetle, or Golf too. Our staff can help you find the right Volkswagen, at the right price, with the right options, and the right incentives. Let us get to work for you so that you can have the perfect vehicle. If you are looking for something pre-owned, then you have definitely come to the right place. We are amongst the top Certified Pre-owned Volkswagen dealers, and we have an impressive pre-owned inventory that draws people in from miles around. All of our pre-owned vehicles, whether they are certified or not, are of extremely high quality. That’s because we take the time to meticulously inspect every vehicle that we get in our inventory before we sell it.